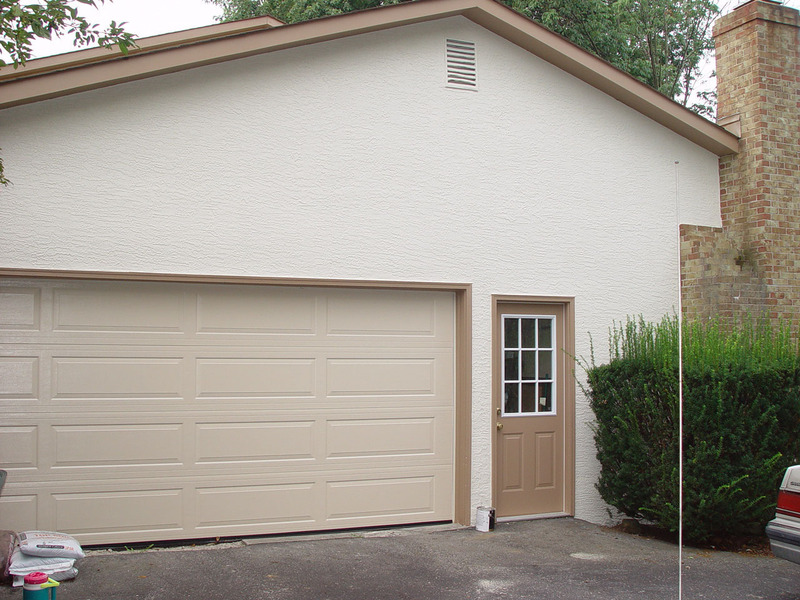 We paint a lot of doors. 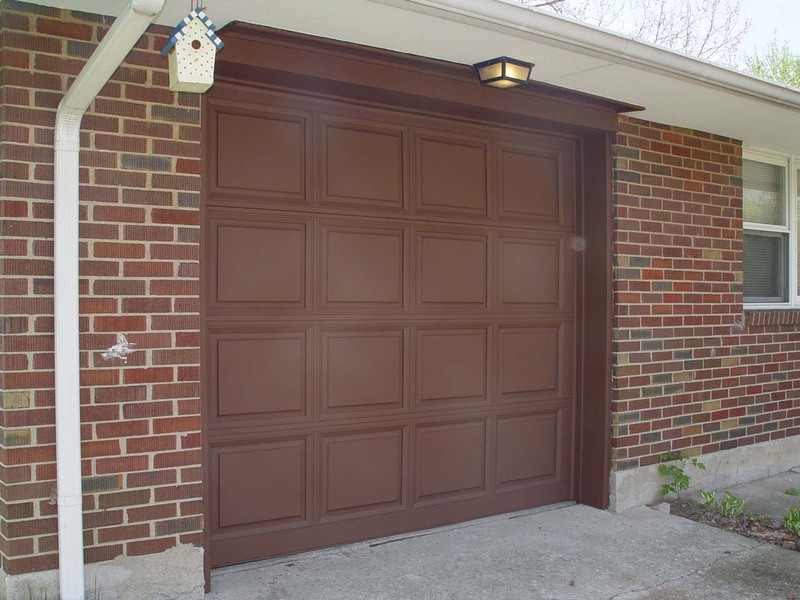 From your typical garage door to your stained and lacquered solid six paneled door we paint most any type of door. 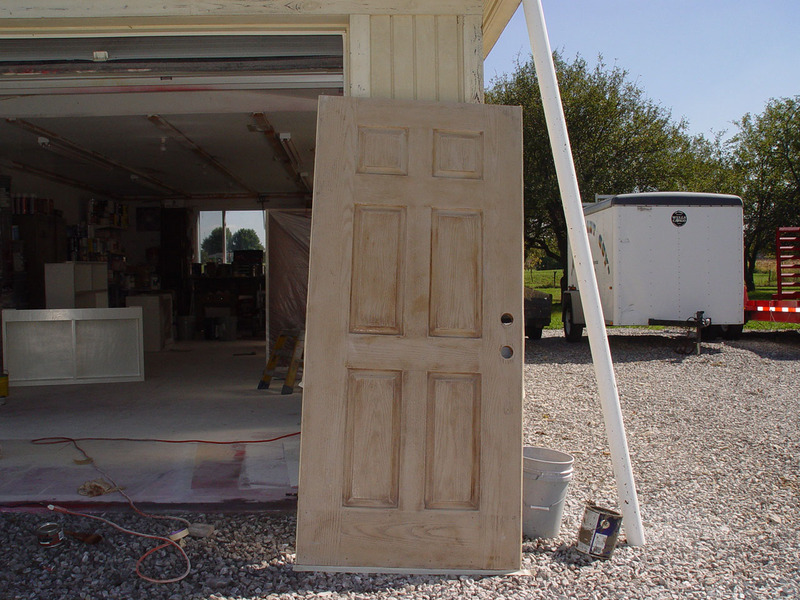 Most doors are sprayed for a factory-like finish. 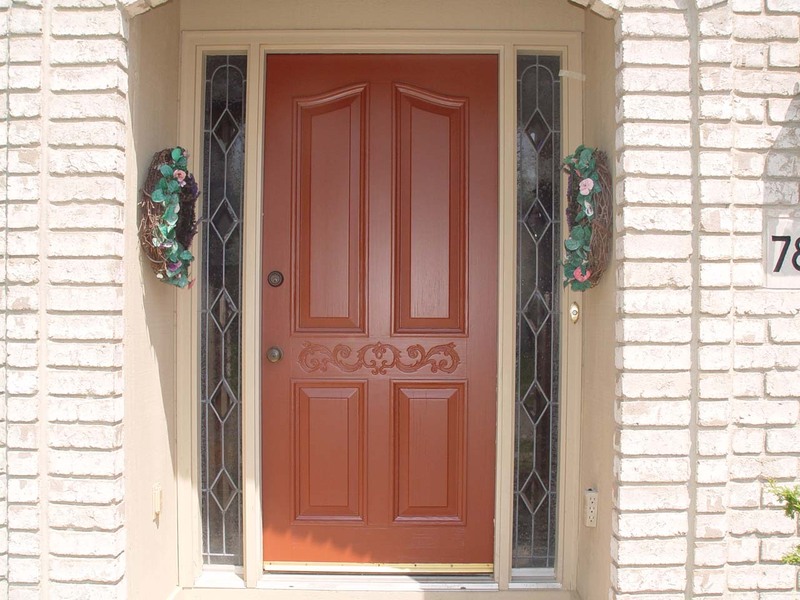 refinishing can be costly, so one option is painting the door with a solid color paint. instead of refinishing the stain every 2-3 years, now it will only need repainted without stripping every 10 years. 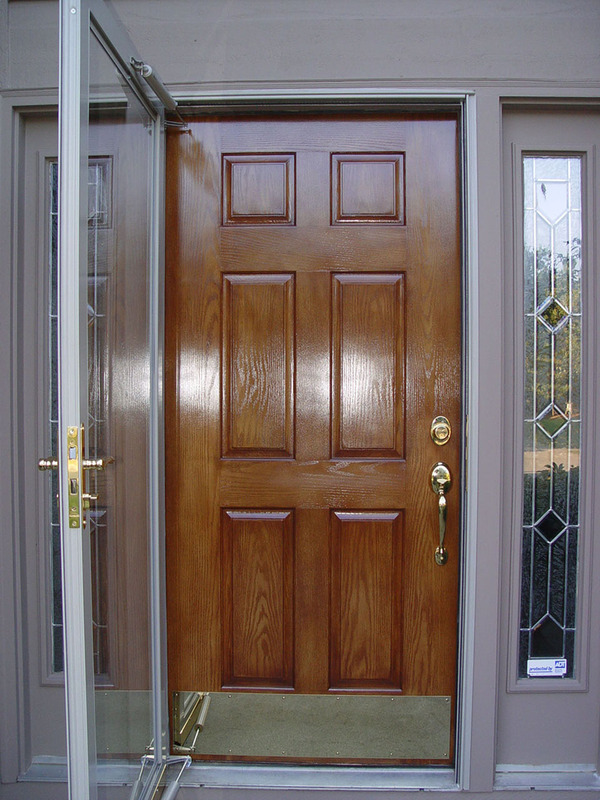 shows door, installed, mid process with gel stain. 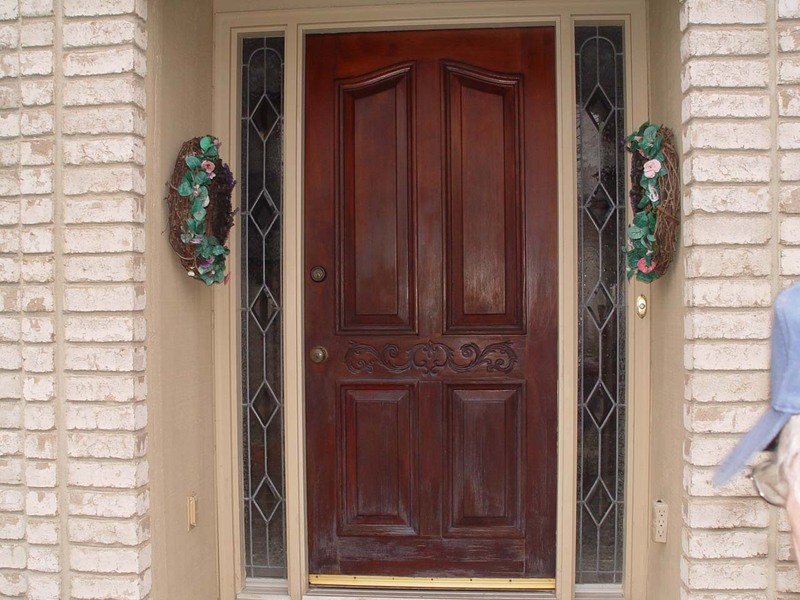 some doors do not need to be completely stripped. 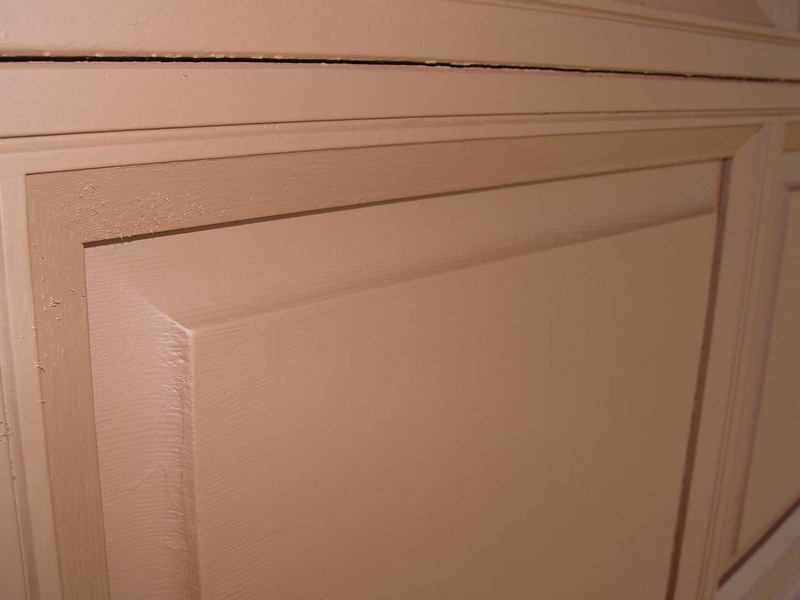 notice the differences between the areas that have been stained and the areas which have not.